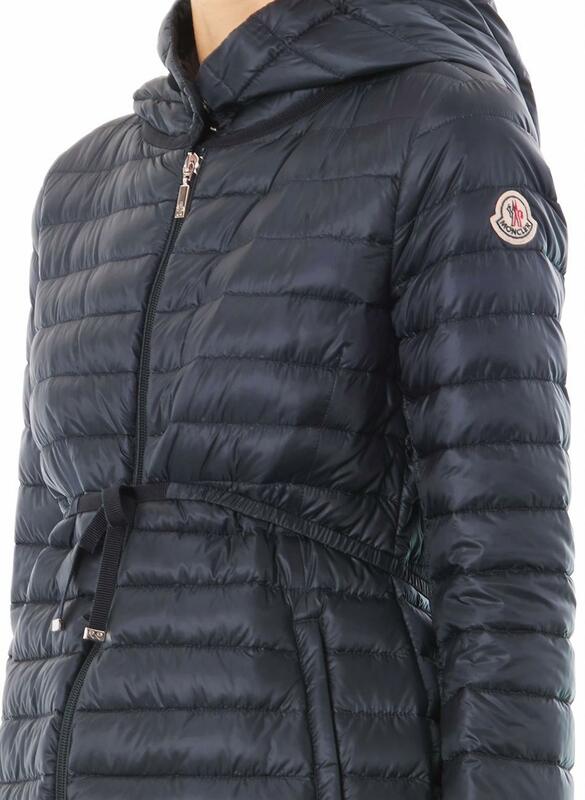 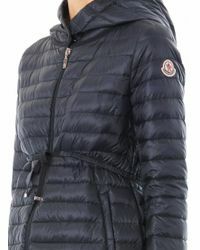 See more Moncler Parka coats. 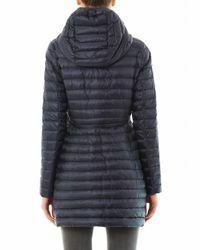 We check over 450 stores daily and we last saw this product for $1,043 at MATCHESFASHION.COM. 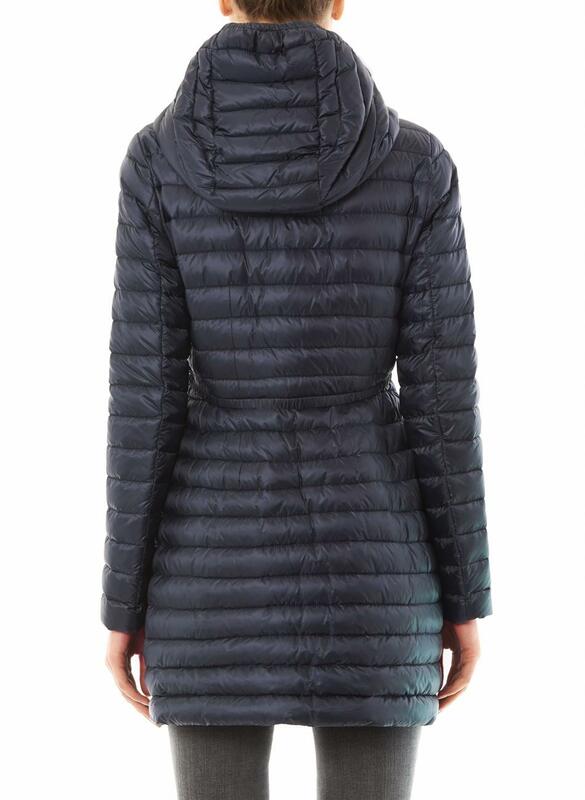 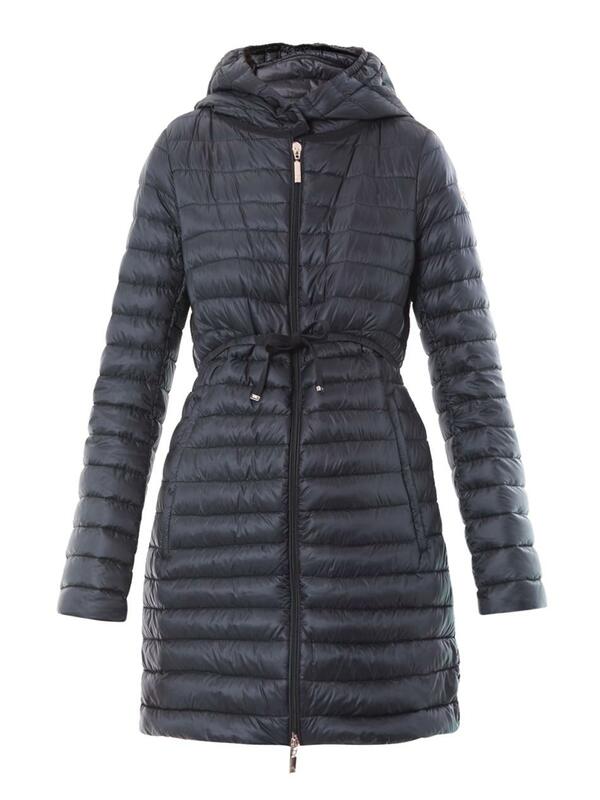 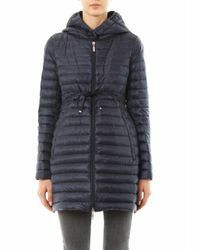 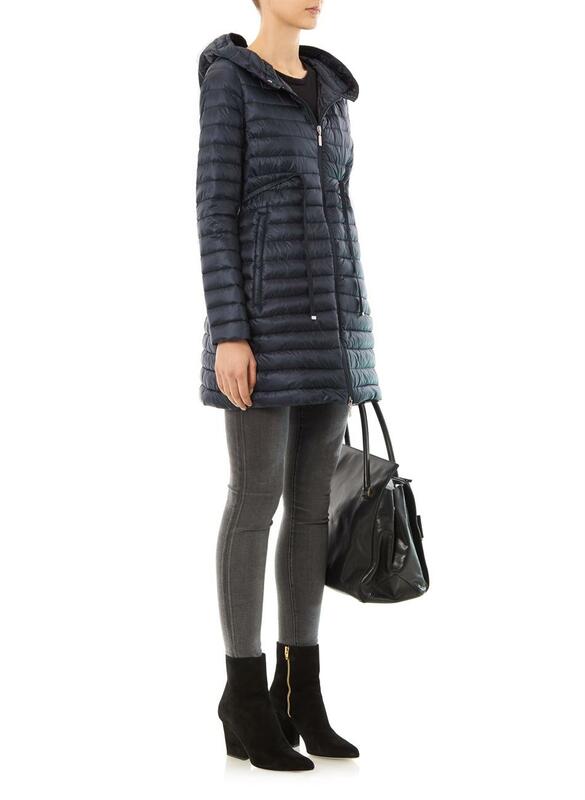 This classic navy Barbel coat from Moncler is perfect for keeping the cold at bay. 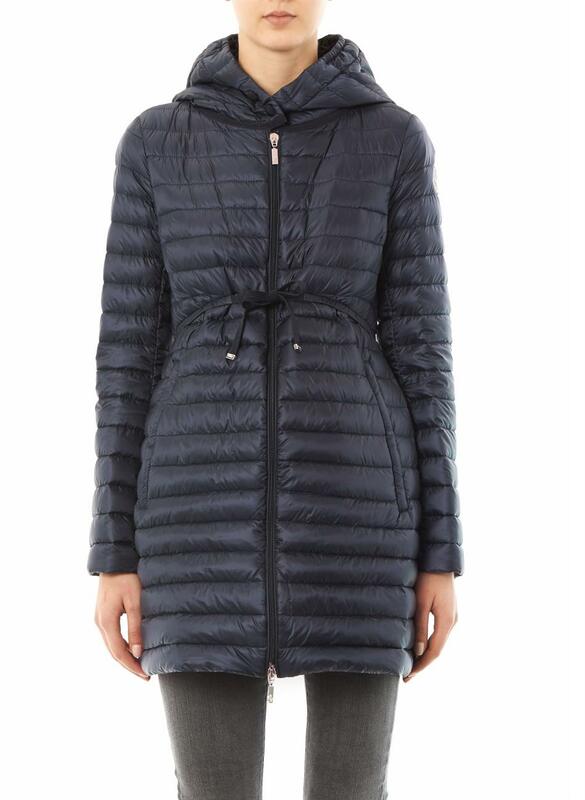 The quilted design has a luxurious feather down fill, a high funnel collar and a drawstring waist with grosgrain trim to nip in your silhouette for a figure-flattering finish. 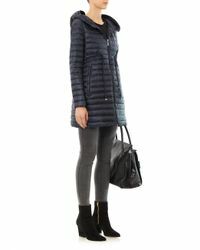 Layer over chunky knits, skinny indigo denims and leather boots for weather-ready sophistication. 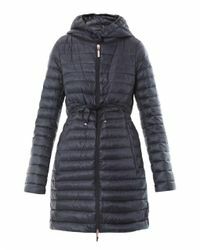 Material: 100% polyamide; Filling: 100% feather down; Care: Dry clean.